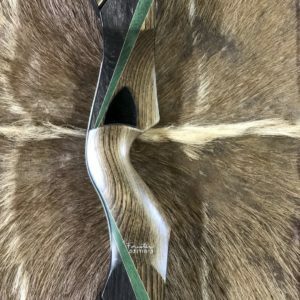 The team at Predator Bows builds our “Pioneer Series” of recurves and longbows. 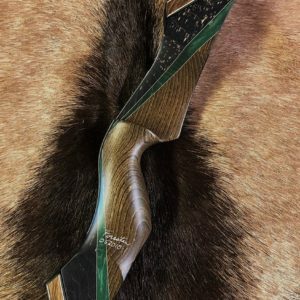 The Pioneer Series pays homage to the trail-blazing hunter-conservationists and archers who have helped to ensure that we always have the right to hunt and wild places to pursue our outdoor passions. 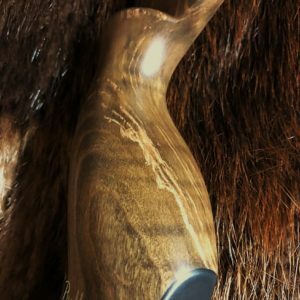 The “Bully” is a 3-piece take-down recurve made from beautiful “curly” Red Maple that is sustainably harvested from public lands. The maple is stabilized to add strength and weight, and tinted brown and gray to bring out the wood’s figure. 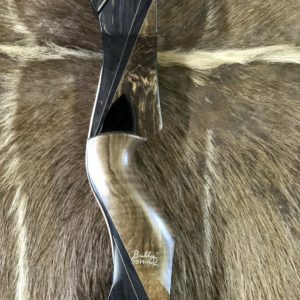 The limbs are made of native hardwoods, with clear glass on the back and black glass on the belly. The “Bully” is named for our 26th president, Theodore Roosevelt. 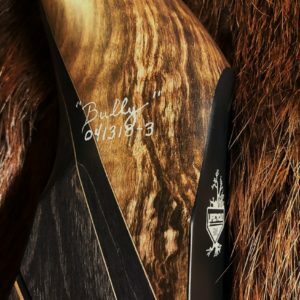 TR was a passionate hunter and a driving force behind the hunter-conservationist movement that kicked off in late 1800s and continues to this day. He is best known for protecting more than 230 million acres of public lands through creation of National forests, parks, and wildlife refuges. When TR liked something, he enthusiastically cried “Bully” through his toothy grin. 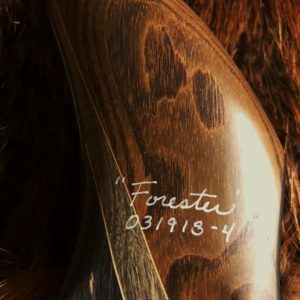 The “Forester” is a 3-piece take-down recurve made from baseball-bat-tough White Ash that is sustainably harvested from public lands. 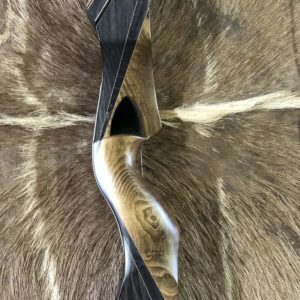 The ash is stabilized to add strength and weight, and tinted brown, green, and gray to bring out the wood’s figure, which resembles muscle fibers. 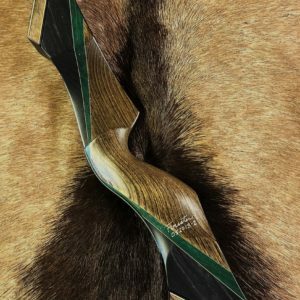 The limbs are made of native hardwoods, with green glass on the back and black glass on the belly. The “Forester” is a hunter through and through! The “Forester” is named for Gifford Pinchot who was the 28th governor of Pennsylvania and the first Chief of the U.S. Forest Service. Pinchot helped to define the developing conservation ethic of the late 19th century and was the first to champion sustainable forestry that considered ecology, as well as economics. Pinchot was an early member of the Boone and Crockett Club and has a National Forest in Washington and a State Park in Pennsylvania named in his honor.